Why wait months to acquire a driving licence? Learn to drive and bolt through The Driving Test in one week! Want cheaper motor insurance? Invest in a Pass Plus course with Britannia! Do you ever feel tense or nervous when driving? Our refresher courses will help you gain your confidence! Learning to drive an automatic car is much easier and quicker than learning to drive a manual car. No clutch, gear changing or stalling! 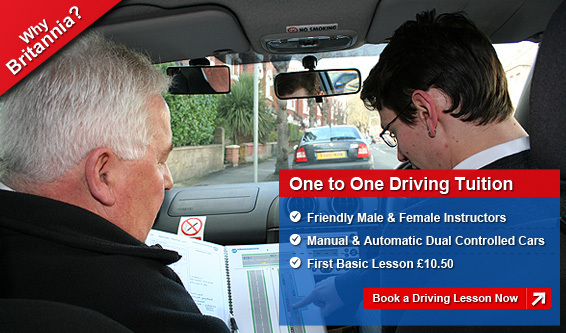 Britannia’s Free Online Resources for all learner drivers in the UK. No password, username or personal details are required to access these resources. Britannia UK Driving School’s unique UK Drivers eye test simulator- test your eyes here! Online mock Theory test- Everything you need to pass the Theory test with flying colours- 7 practice papers! 15 Practice Hazard and CGI clips- why buy a hazard disc when you can practise for free? Great games for testing your practical knowledge of the driving test and different road rules. A cool introduction to the Hazard Perception test- Viewing highly recommended before you try our mock test. A practical example of the theory and mock test- View now! The official guide to make sure you are ready for the test. The Official DSA Highway Code- Free download or print now! Books, CD’s and DVD’s for learner drivers and driving instructors- Great prices! Choose a rewarding career helping pupils fulfil their dreams, with all the support of Britannia! Already a qualified driving instructor? 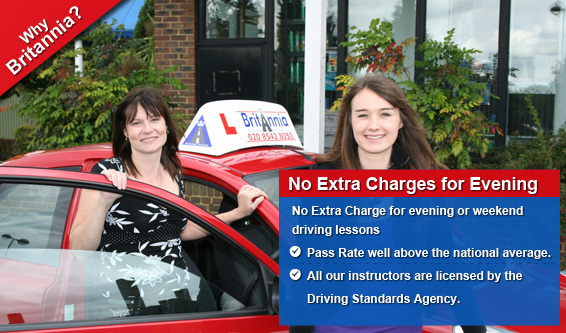 Why not teach with Britannia Driving School? How old do I have to be to apply for a Provisional Driving Licence? What is the minimum age for taking the Theory and Practical Tests? How much do the Theory and Driving Tests cost? Where can I take my Theory test in London, Surrey and Middlesex? 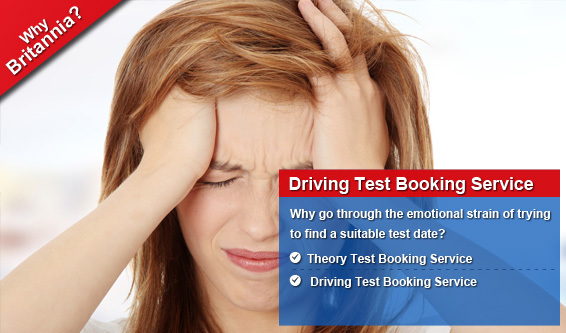 Where can I take my Practical test in London, Surrey and Middlesex? 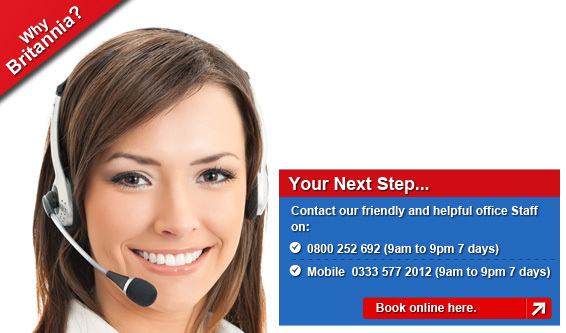 Waiting times for Driving Test appointments? How long will it take to learn to drive and pass the Driving Test? Do Cyclists have the same rights as car drivers? *This list of counties/towns does not necessarily mean that we service these particular areas, in the same way omission of a town does not mean we do not cover this area…Please call free 0800 252 692 for further verification if so required. Don’t just take our word for it, read through our hundreds of testimonials from happy pupils!